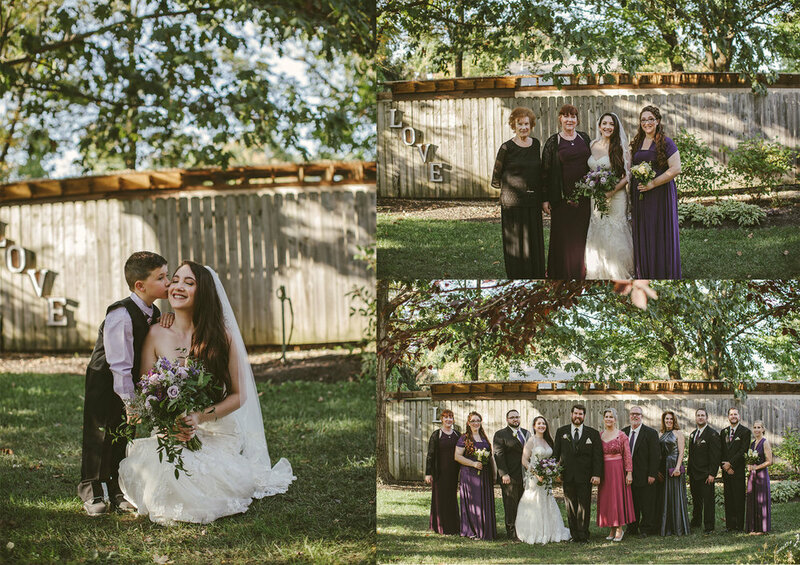 Alee & Dylan's Indiana Avon Gardens Wedding! Alee and Dylan are married! These two were just wed TWO nights ago near Indianapolis, Indiana! 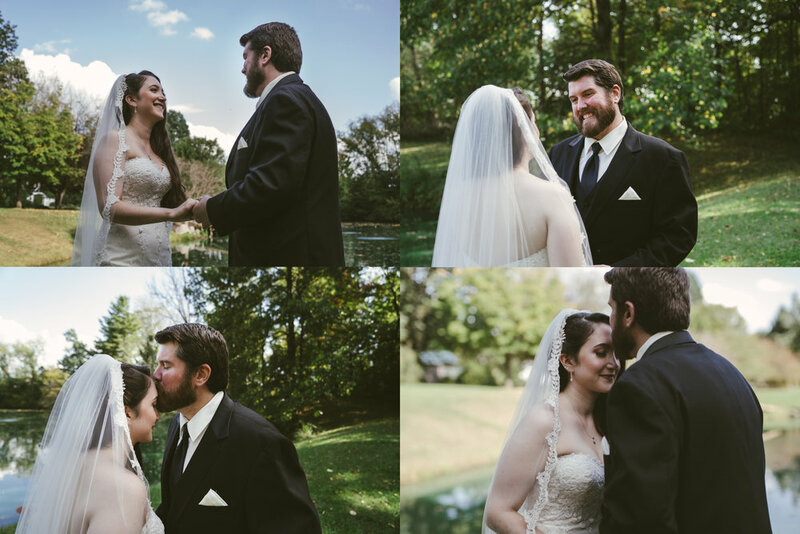 Since it was a holiday (Columbus Day), Alee and Dylan’s wedding day was a unique Monday evening wedding at the Avon Gardens in Avon, Indiana (less than 10 minutes from our lodging in their home city of Indianapolis!). We drove the few hours down to Indianapolis on Sunday afternoon, scouted all of the portrait locations that afternoon (until another wedding ceremony started), photographed their big day on Monday, returned from Indianapolis yesterday afternoon and immediately started culling through images, editing, collaging, and writing about their big day, so suffice to say it’s been a whirlwind the past 3 days. 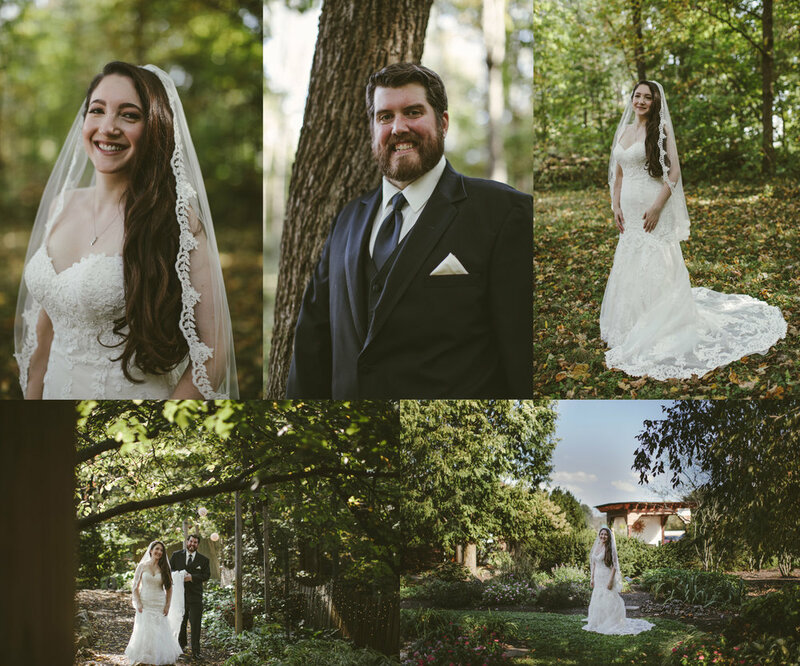 Without further adieu, here’s Alee & Dylan’s October 8th, 2018 wedding! Alee & Dylan’s wedding day started off with Dylan and his groomsmen at the Avon Gardens relaxing and getting ready while Alee and her bridesmaids got their hair and makeup done elsewhere. 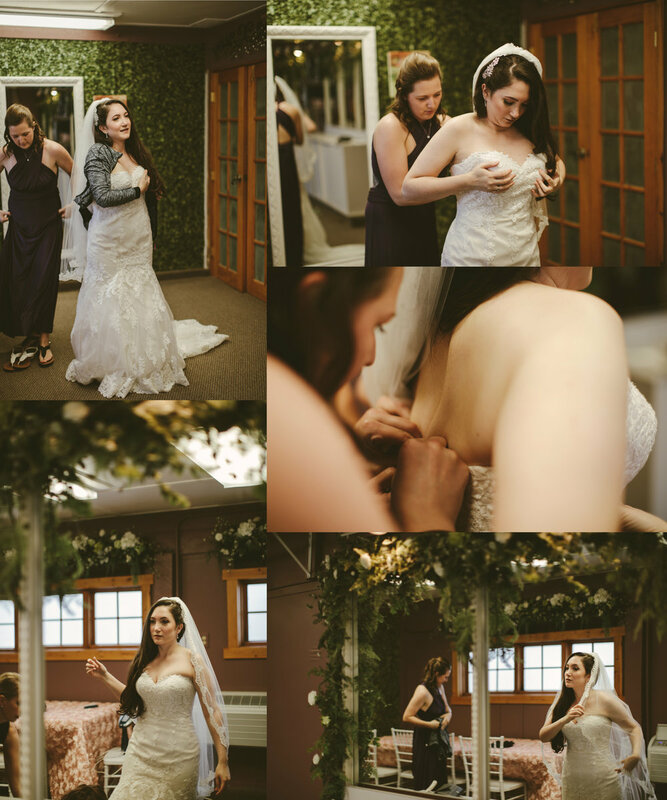 Though we weren’t supposed to capture them getting ready, things got delayed a half hour and we found ourselves getting to capture a big of their preparations at the Avon Gardens before their first look! 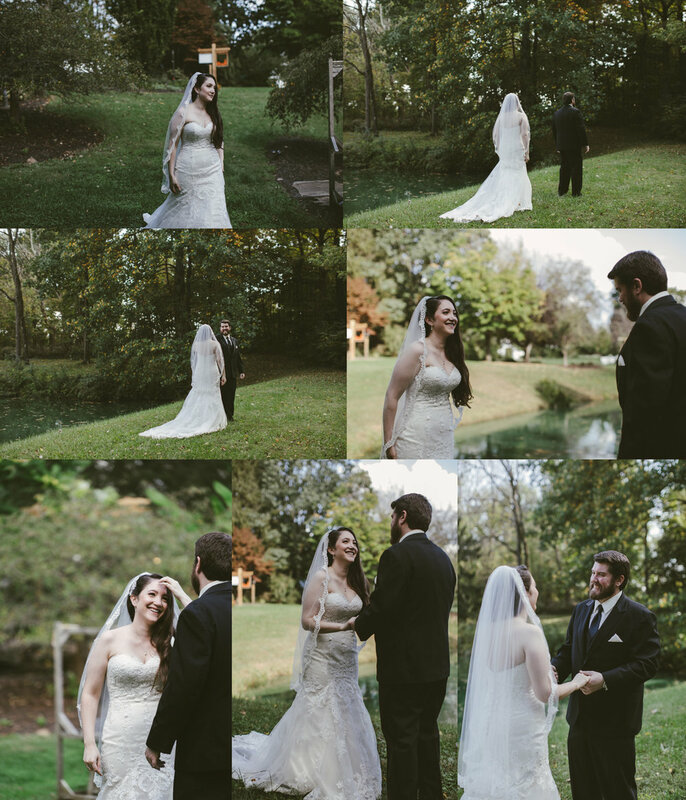 Alee made her way toward Dylan by the pond and the two excitedly partook in their First Look! Dylan wanted to give Alee a kiss, but Alee wanted to save that special moment for the end of their wedding ceremony, so they instead locked arms. 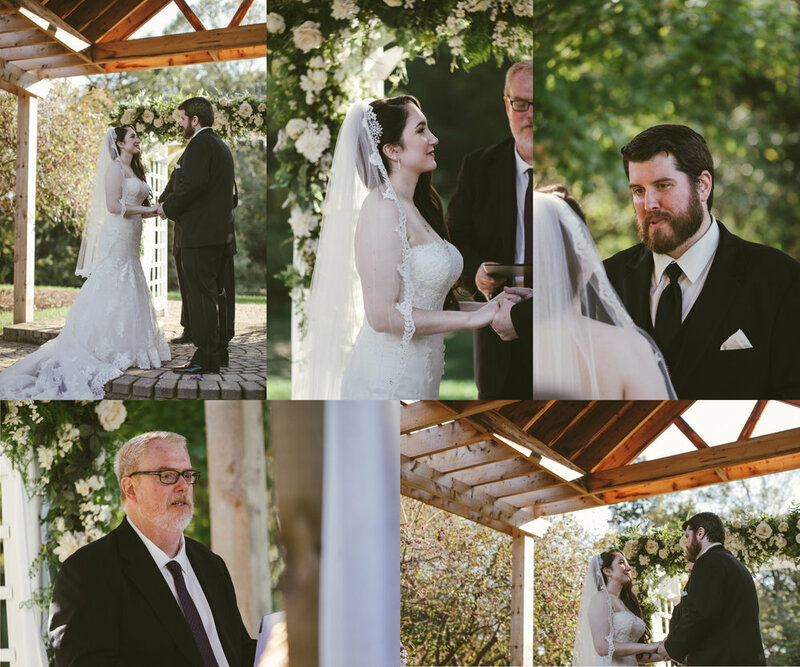 Since we were hired for a shorter period of time and we knew there were 40 family photos to capture after the ceremony, we wanted to make sure that we got great portraits of the two of them separately and together before their ceremony! 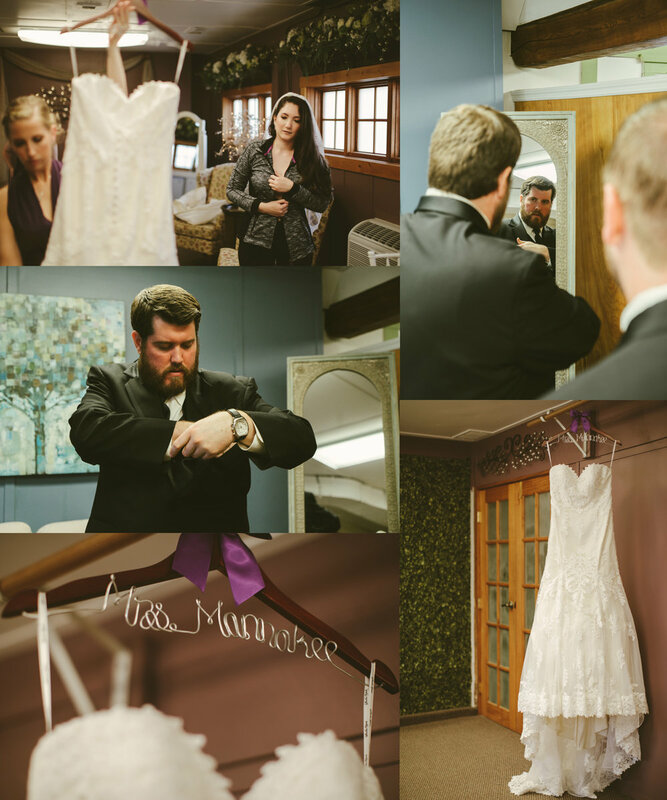 We took them to a couple spots in the property to ensure that we would get portraits of the two of them (and even finished all of their bridal party portraits), then had Alee leave during groomsmen portraits so that she could get ready to head down the aisle. 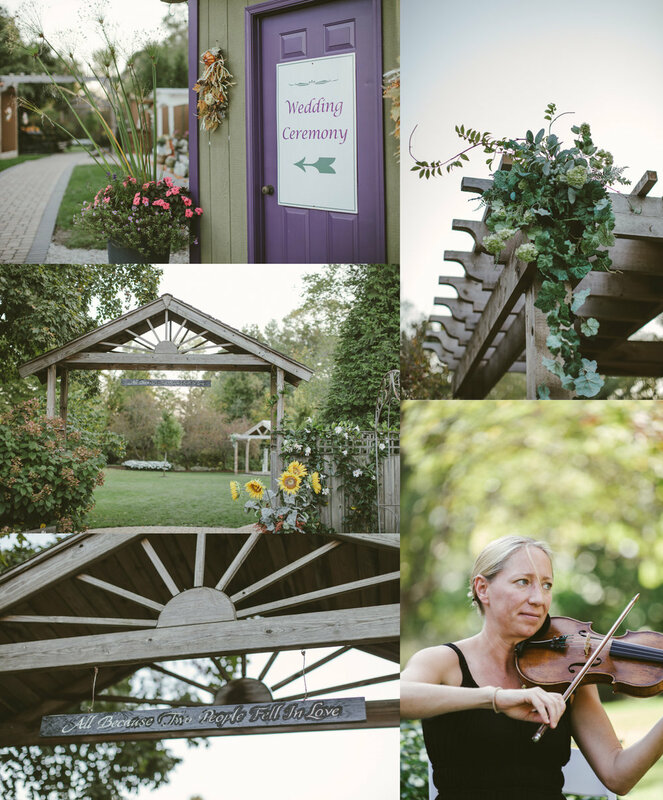 Alee and Dylan chose a great spot (of the two options there) for their ceremony location! The altar was covered for the two of them and it was directly in front of the pond there. It was a beautiful smaller crowd of guests and somehow 88 degrees/ warm outside as if it were summer. 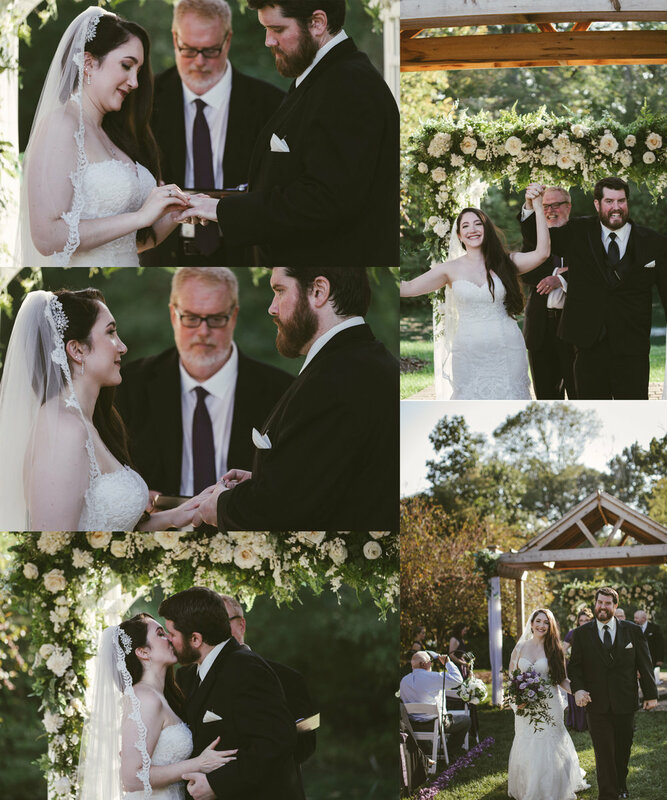 Though it is Fall/ October, the green foliage still shown brightly as a backdrop to their gorgeous outdoor ceremony as Dylan’s dad officiated their wedding ceremony! After the ceremony Alee & Dylan went and rung Avon Garden’s wedding bell, then headed over to a stream to greet and hug every one of their guests on the path that lead to the cocktail hour/ reception. Once they’d welcomed all of their guests, the families all headed over and we captured 30 to 40 group photos of Alee and Dylan plus their families! Since we’d already photographed their bridesmaids, groomsmen, and entire bridal party earlier, Alee & Dylan opted to not have them photographed again and instead let their bridal party enjoy cocktail hour over in the reception area. 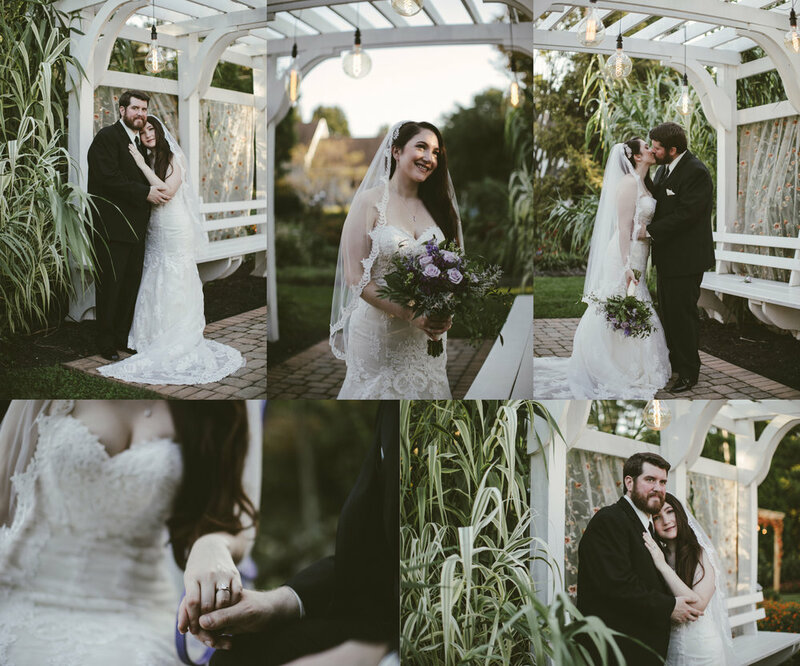 We hadn’t yet gotten married photos of just Dylan and Alee, so we took them to the 2 other portrait locations that we had to cut out earlier in the afternoon and captured them with Alee’s flowers, their rings, and new titles of Wife and Husband! It was a beautiful calm moment before the official start to the reception. Post-portraits Alee & Dylan were announced into their ceremony! 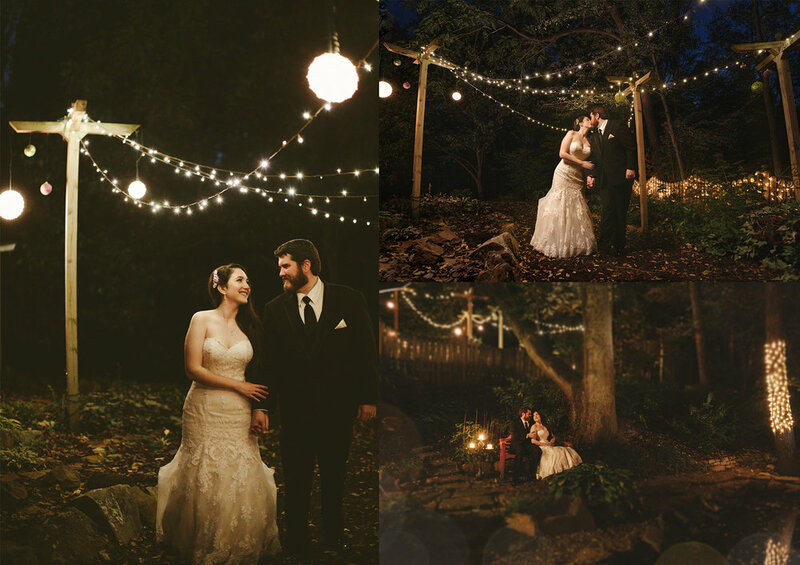 Upon entering they headed to a beautiful outdoor wood covered area and had their First Dance. It was a gorgeous sunset as their guests came over and watched the two in their first dance and then cake cutting. They didn’t plan to have any toasts given, rather had Alee’s mom give a small speech. They did toast, then to their surprise Dylan’s brothers stood up and gave a toast, Dylan’s mom gave a surprise toast, and Dylan’s Best Man gave a toast (talking about how they’ve been friends for 16 years and this is the happiest AND healthiest he’s seen Dylan because of Dylan & Alee’s relationship and vegetarianism!). It was an awesome surprise display of love at the intimate reception. 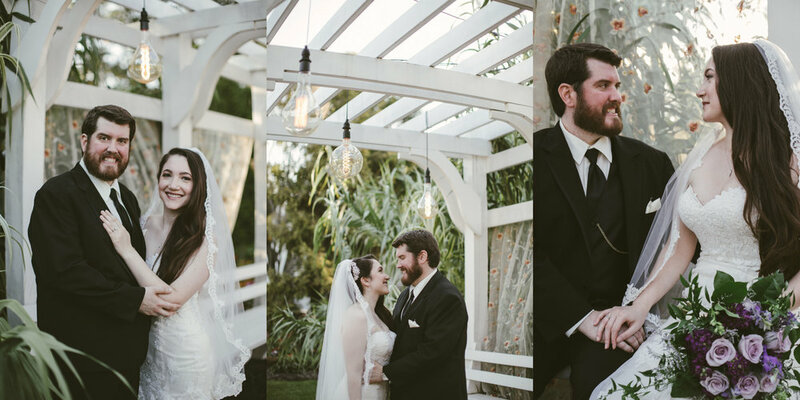 After the dinner and toasts Alee & Dylan had scheduled some final sunset portraits in the garden. Though the sun had gone down 20 minutes prior, there was still a glow in the sky and all of the twinkle lights were aglow in the garden making for some beautiful walking and talking between the two on the paths. 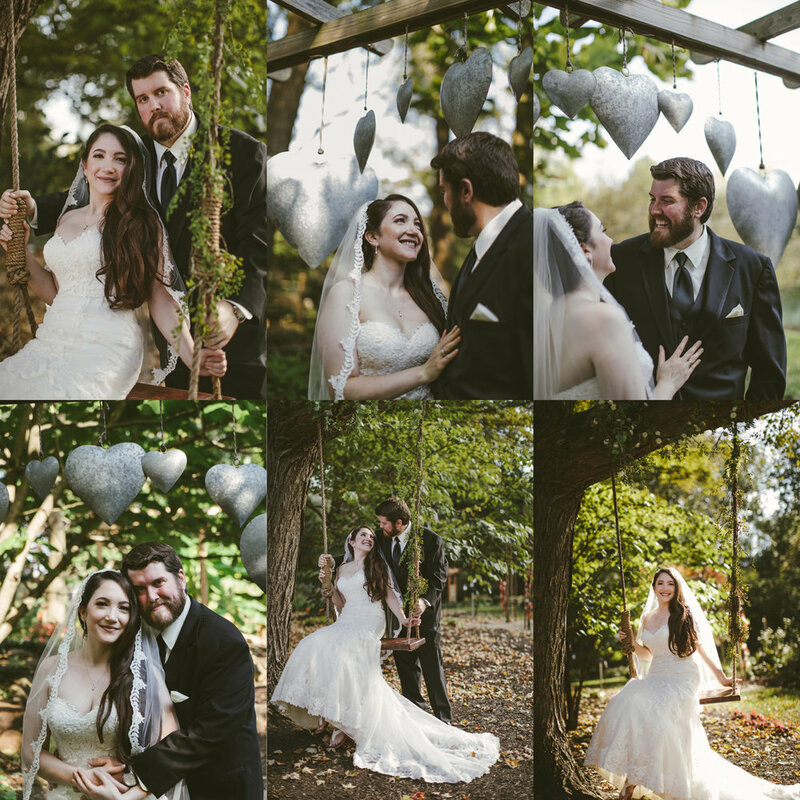 We captured them in two spots we’d planned on and then headed back to the reception where cake was being served! The DJ played a beautiful mix of Big Band music which was very unique for a Midwest wedding and it was absolutely classy and fantastic! Though they did not do the traditional one-on-one mother-son dance, Dylan joined his mom and many other guests on the dance floor as it opened for Open Dance! After that Dylan’s step mom (a classically trained opera singer) took to the dance floor to sing Dylan and Alee for a slow song as guests continued to dance. It was beautiful to witness and the best dedicated live song we’ve seen at any wedding so far! With that it was time for us to congratulate Alee & Dylan and bid them adieu! We snapped some final images of everyone dancing, grabbed a couple waters, and headed on our way. They continued to dance the night away (and finally eat some of their cake!) 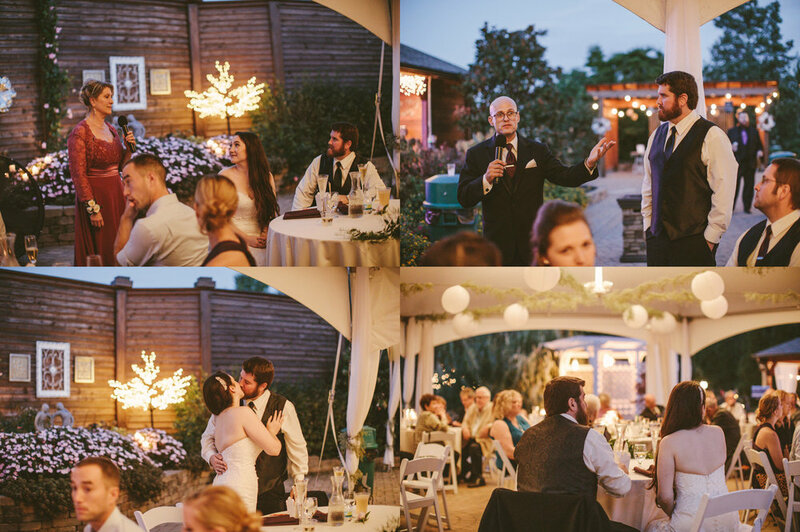 for the final two hours in the beautiful night sky until the end of their reception as we headed back to our lodging in Indianapolis and enjoyed some of our veggie leftovers that we weren’t able to finish during the small amount of time we had to eat. 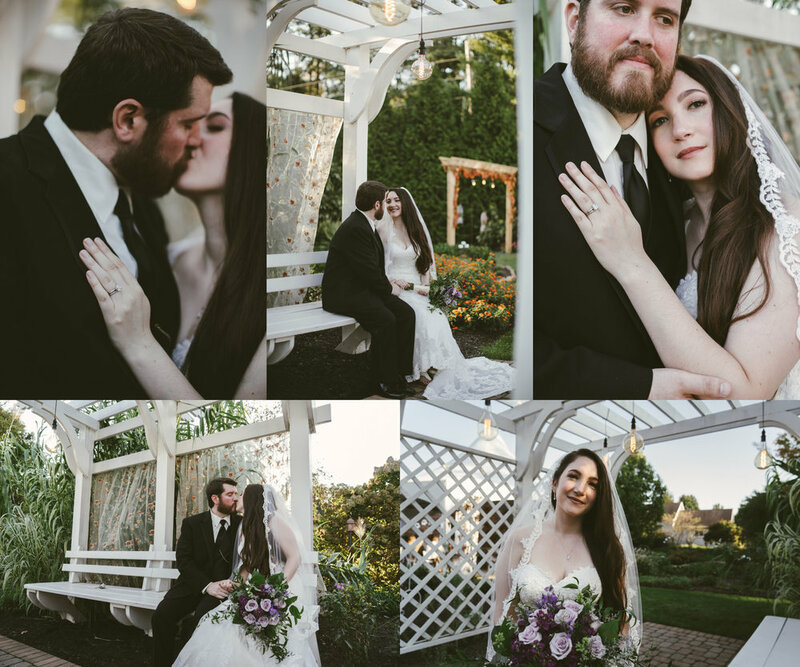 We just returned from their dreamy wedding yesterday and we’ve been oggling over their beautiful photos for over 24 hours really loving every aspect of their intimate garden wedding! 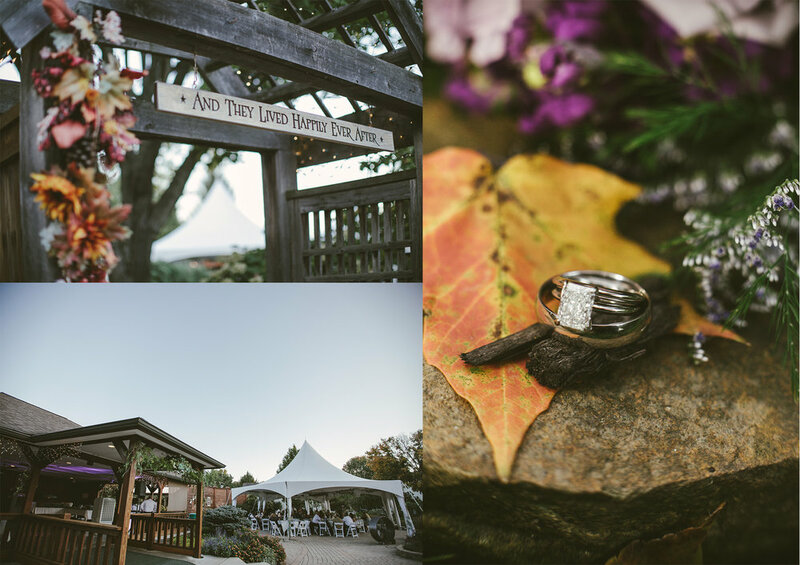 Congratulations to you Alee & Dylan on your calm, intimate, gorgeous Avon Gardens wedding just a couple evenings ago! 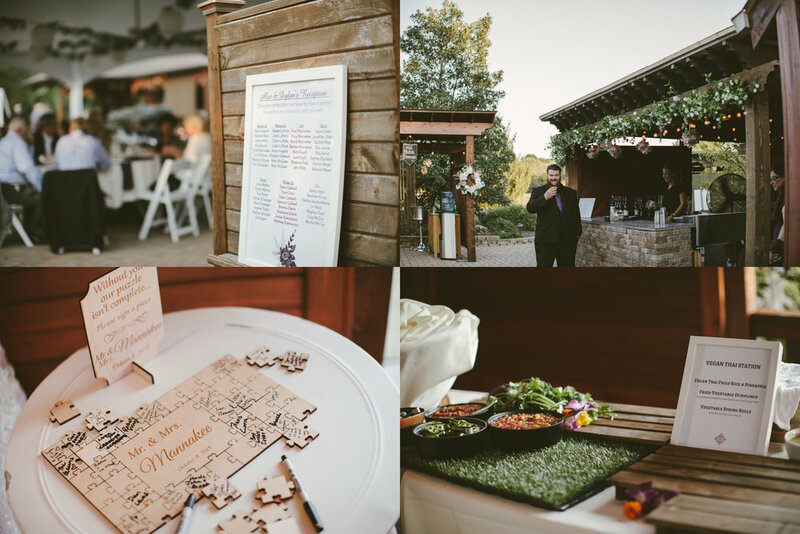 We had a wonderful time with you two and believe that you had one of the best weddings ever-! We loved your family and friends & hope that you’re still basking in the love today (and that you love these Teasers and re-living the day as much as we do)! Unrelated: We’re currently editing 3 weddings’ worth of photos, prepping to photograph Engagement Sessions this weekend in Michigan (and the 2 weddings next week in Indiana & Michigan), creating 2 physical client wedding albums, 200 printed photos for 3 couples’ wedding and engagement print packages, Save the Dates for a couple, and Christmas cards for 2 families… and all but the 2 wedding editings need to be done in mere days! We’ll be capturing Christina & Lorenzo’s Engagement Session in Michigan first in a few days and will be blogging that next Weekly Wednesday, so check back for that! The rest of the month’s Weekly Wednesdays will of course be the two weddings that we’re capturing next week and November’s will all be Engagement Sessions and Fall Family Portrait Sessions, so get ready for a busy fall with us! We’ve about 9 physical wedding albums to create by the end of December and some more 2019 and 2020 weddings to finalize/ book after meetings in our Consultation Office, so we’re looking forward to 2.5 more busy months before the low season & upping prices on January 1st, 2019-! If you’d like to book for the end of this fall or 2019 (or 2020) before pricing changes, reach out to us at: info@jennyandjasonphoto.com to chat or set up a time to meet in person at our South Bend office or elsewhere-!